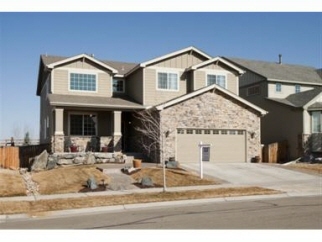 Description: Pride of ownership in this hayden model backing to open space. 3 bed plus loft plus study. Gourmet kitchen with granite. Travertine tile, wood floors, gas cook-top, double oven, fridge, breakfast bar & work space. Wonderful covered flagstone patio with gas fire-pit & surround sound. Bright family room with surround sound. Bonus loft/media room. Spacious master w/5 piece bath. This home is complete with central vacuum, security system, crown molding, tiled bathrooms & much more. Special financing incentives available on this property from sirva's preferred lender.